A spacious bed provides room for larger quilting and home decor projects. 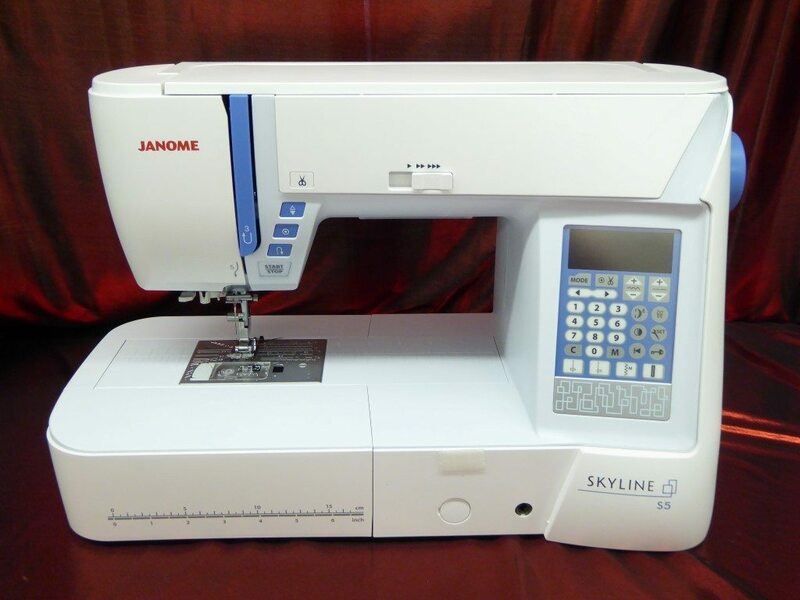 The JANOME Skyline S5 is a computerized machine which has top of the line features at a mid-level price. 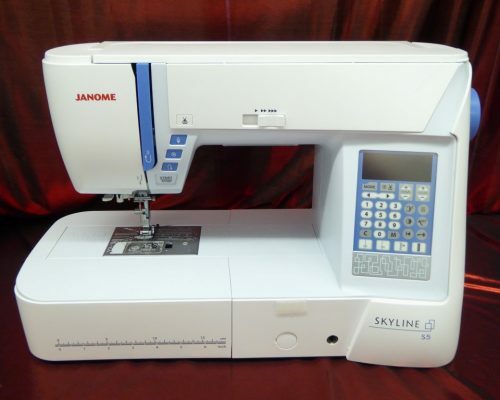 Some of the Skyline’s features include: 170 built-in stitches, 91 needle positions, maximum 9mm stitch width, 6 ultra-bright LED lights, back-lit digital LCD screen, locking stitch button, one-step plate converter!